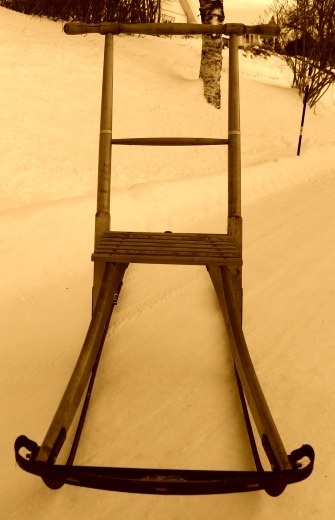 The kicksled or spark (Norwegian: sparkstøtting or spark) is a small sled consisting of a chair mounted on a pair of flexible metal runners which extend backward to about twice the chair’s length. 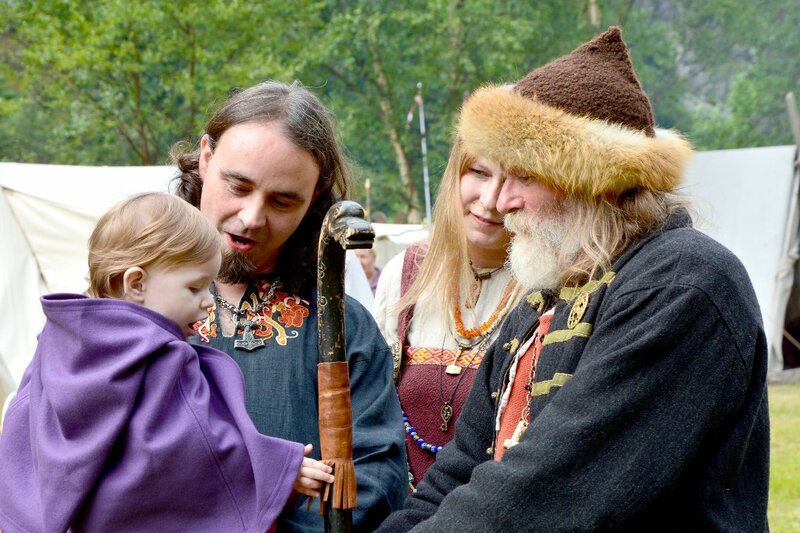 The sled is propelled by kicking (“sparke” in the Norwegian language) the ground by foot. There is a handlebar attached to the top of the chair-back. The flexible runners make it possible to control the sledge by means of the handles. One can have a passenger on the seat. A kicksled can only be run on hard, smooth surfaces like ice or hard packed snow. The spark is used on frozen lakes, both for travel and ice fishing. Speeds up to 9 – 12 miles per hour (15-20 kmh) are easily reached, or even more downhill. 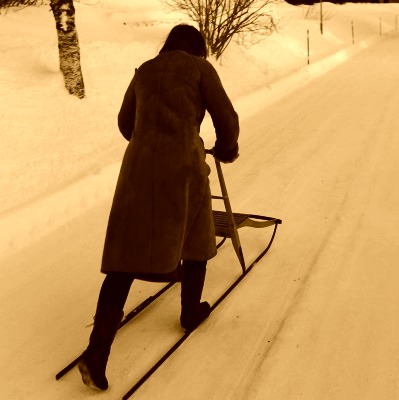 The kicksled is in common use in Norway, Sweden and Finland. The use requires a certain level of traffic, so the powder snow is compacted and makes ideal conditions. Heavy traffic removes the snow and hampers the use of the kicksled. Gritting and salting are likewise an impediment. Recently, Kicksled World Championships 2013 was held in Hurdal Municipality. I have a Spark purchased in Sweden at the end of WW2 and brought back to the United states.Would like some more info on it. Would like to send pictures of it. Do you still have the Spark for sale? Thank you!